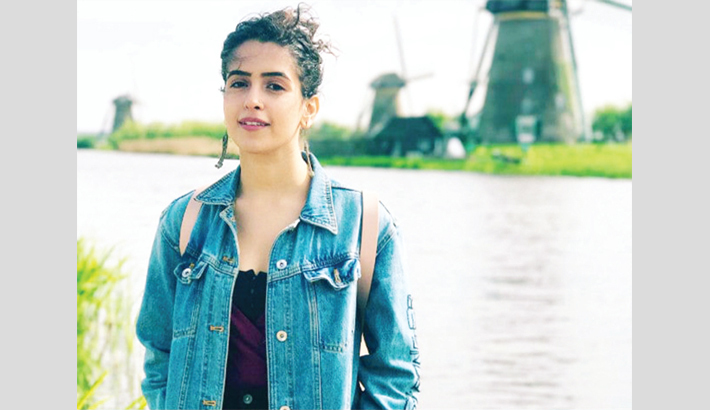 Bollywood actress Sanya Malhotra returns to screen with Pataakha, two years after her debut Dangal, and the actor says she had her goals set -- wait patiently for the best film and not chase stardom. Sanya won critical acclaim for her debut, which was produced and headlined by Aamir Khan. "I have learnt to have patience. You have to wait for the next best after your debut. Post 'Dangal', I knew I didn't want to do any film where I'm just there. I'm happy for not being very famous and not being all over on social media platforms," Sanya told PTI. Her idea of waiting for the right film is also partly based on one of Aamir's advices to her and her Dangal co-star Fatima Sana Shaikh. "Going slow in my career makes me happy. Aamir used to tell me and Fatima 'don't do more than two films a year'. (But) I did three films a year! When he got to know I signed all these, he said 'you're doing so many movies!'" The actor says her life has changed in a "lovely way" post the blockbuster debut and things have become easy. From going through a phase of not having money or films in her hand, Sanya feels blessed to have a lineup of projects ready for release, including Ritesh Batra's Photograph featuring Nawazuddin Siddiqui and Ayushmann Khurrana-starrer Badhaai Ho.